You've all heard of "selfies," right? You know what I mean. People taking pictures of themselves in various places, with various people, in various situations -- all to be shared online for the world to see. Although I haven't done much with the site since March (longer than that, really), I have a personal blog called Flashlights Are Something To Eat (long story) where I share the occasional story, opinion, and pop culture tidbit. There is quite a community of pop culture blogs out there, many of which contribute to the League of Extraordinary Bloggers -- a weekly blogging topic offered up by a great site called Cool and Collected. Although my FASTE blog does not chime in with League posts (or any posts) very often anymore, occasionally a topic will strike a chord. This week's topic? Shelf Expression. "Shelf Expression. Take a picture of your shelves, featuring a few of your favorite things." 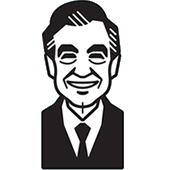 I'm occasionally asked about my own collection of Mister Rogers memorabilia which feeds into the Neighborhood Archive site; so I figured what better time than now to share some "shelfies"? In my basement is a 4x4 Expedit shelf from Ikea -- the bottom half stores my record collection and the top half is home to my Neighborhood collection. On top of the shelf itself, you'll find several puppets and Trolleys from throughout the years. Within the (increasingly unorganized) cubes themselves, there's plenty more to be seen. Lastly, here's another shot from the other end of the top of the shelf. Do you have a collection of Neighborhood memorabilia? Send me a few "shelfies" of your own and I'll share them on the Archive Facebook page. Interested in other pop culture "shelfies"? Check out some other posts from the League of Extraordinary Bloggers!